Hey everyone! Long-awaited Space Archer was finally released! GameBox was updated with 2 new games! Moreover, a ton of changes and additions to other games, mostly Friendly Survival! So let's get straight into it! Elemental Archers Update! New awesome Space Archer class! A new awesome class was added: Space Archer, it's very different from other classes and requires you to have level 5 of 2 of day classes and 2 of night classes to be able to use it. Normal bow's arrows have reverted gravity (they fall up instead of down). Gravityless Arrow ability bow to shoot arrow not affected by gravity with the 7-second cooldown. Levitate Up Nether Star to levitate up with awesome animation. Levitate Down Nether Star to levitate back down. Not affected by day/night damage bonuses since it's in-between class. Ghost archers are now partially visible to their teammates in Team Deathmatch mode. Lightning now strikes at the location of the Rapid Fire powerup spawn. Player names in messages are now properly coloured in Team Deathmatch mode, now it's based on the team, Aqua team's player names are in aqua colour and Lime team's player names are in lime colour. Damage of Fire Archer's Fireball was multiplied by 2. Fixed a bug where Fire Archer's Fireball ability could damage teammates. GameBox plugin and its GUI minigames were updated to the newest version! All GameBox games were re-configured to follow same configuration format (colour codes, etc). One Hit Mode in Battleship was removed due to unpopularity. 2 brand-new GameBox minigames were added! Utterly addicting game! You have to fill the grid with pieces of blue and white wool, but with only 3 of each in each row/column! Endless possibilities of starting board and tons of fun! A well-known game from the childhood! The objective is as simple as a piece of pumpkin pie. You just have to connect all the pairs of the same items together! Raging up from easy and fast 5 pairs up to hard and tedious 27 pairs! Respawning system was remade, now it will teleport you to Universe dimensional warp of the dimension in which you died instead of teleporting to your home (to specific spawnpoint in The End and Gaia). Iron Ore and Gold Ore placement was remade again, now instead of getting "Unplaceable" lore when mined without Silk Touch, it gets "Placeable" lore when mined with Silk Touch. Ability to warp to The End using Dimensional Warps was removed, now the Void is the only way. You can now clear color of stained clay blocks by right-clicking with them on the cauldron. Pregenerated Hoth dimension to avoid lags while generating. Fixed not being able to use Iron and Gold Ores in Slimefun machines. Fixed fish which fell into the void appearing in the End. Fixed a bug where snowballs/eggs damage could break armour of players. 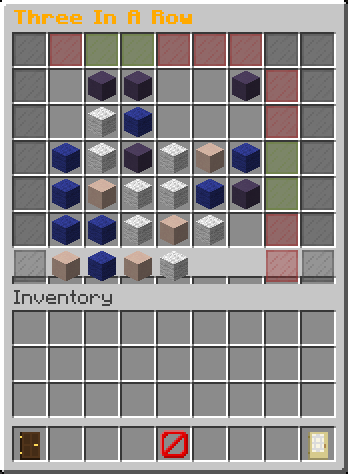 Now all blocks mined goes directly to your inventory instead of dropping, just like ores have been doing. 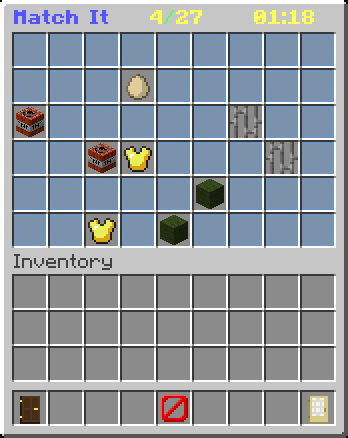 Now loot dropped from treasure finds and lucky blocks goes directly into inventory. Now it spawns a chest with items of killed player after final kill instead of dropping the items. Now TNT explodes more like vanilla TNT and it can now explode defense of crystals of life without exploding crystals of life. Fixed not being able to place/break blocks/kill entities in the new map. Fixed improper colouring of the nicknames. Helmet and Boots of the selected cosmetic suit are now kept in-game of Snowball. Regeneration power-up price was reduced to 3 melons in Snowball. (5 melons before). Throwable Cobweb power-up price was reduced to 1 melon in Snowball. (8 melons before). Now while the player is immune, they will have flickering glowing animation in Bomberman. A hit sound was added if the player took damage in the fire in Bomberman. Now if a player who has voted for a map quits, their vote gets removed and it doesn't count as voted today anymore after leaving a game before it starts. 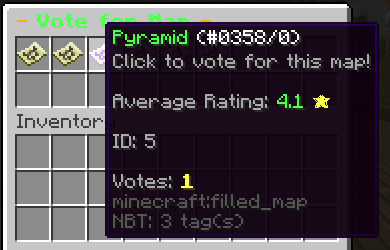 Now maps which have at least 1 vote in map voting will be enchanted and will have vote count on them. Server's scoreboard system was rewritten onto a new system - the new one doesn't break vanilla /scoreboard system like the previous one did and flickers even less! Bugs are expected, as always please report any bugs if you find them!